The men stayed in military barracks inside the Olympic Village. But the women were housed in a four-story building that was fenced off from the men, and according to one report, its borders demarcated with barbed wire. Apparently, the barriers weren’t so great that husbands and wives couldn’t connect. Discus thrower, Olga Connolly, was reported to assist her husband, hammer thrower, Hal Connolly, with his laundry. As the AP reported, Olga would wash and iron Hal’s wear, and then pass the clean clothes over the wire fence. On the Friday before the Opening Ceremonies, the organizers offered the women in the female dorm the opportunity to learn origami, but apparently only 8 people attended this activity. “The girls apparently preferred co-existence with the males in the Olympic social meeting place, the International Club, to learning “origami”, the Japanese paper-fashioning art,” as was reported by UPI. And in the end, where there’s a will, there’s a way. 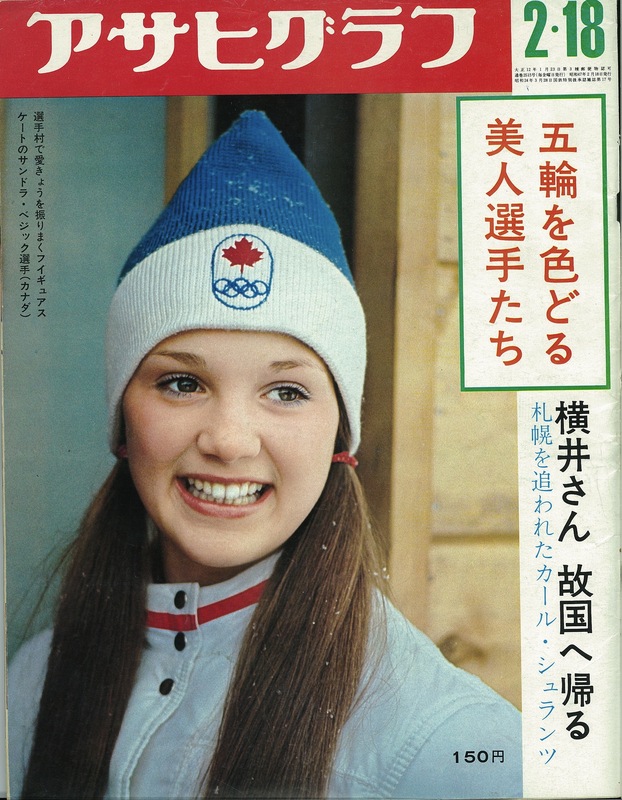 Sandra Bezic, who competed as a figure skater in the pairs competition in the 1972 Winter Games, was a teenager in Sapporo, Japan, and recalls that the men’s and women’s living quarters were separate. Posted in Gender, Other Olympics, Tokyo 1964, Winter Sports and tagged 1964 Olympics, ada kok, dorms, Hal Connolly, International Club, Olga Connolly, olympic village, Sandra Bezic, tokyo olympics. Bookmark the permalink.